The Global Vipassana Pagoda near Manori and Gorai is being built in the same architectural style as the Buddhist Shwedagon Pagoda in Burma. It contains some relics of the Buddha. This structure, on the coastline of Maharashtra, near Manori and Gorai, is still being built. It is a few minutes walk from Essel World. The entry is free, although some people give donations. 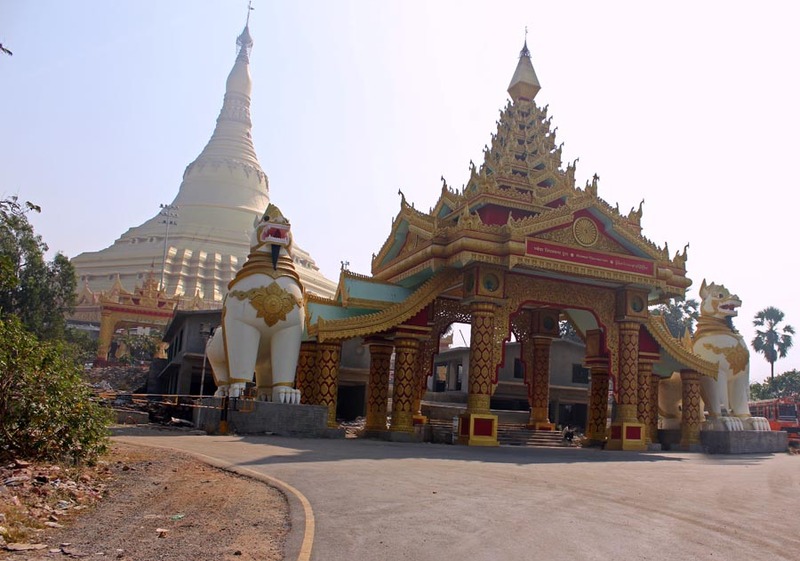 This is the photograph of the entrance to the Pagoda. The white dome in the background is the main prayer and meditation hall. The pillars of the Pagoda are painted with gold and red and two fearsome looking animal statues with gold seals on their chests guard the entrance. The dome has gold coloured carvings. Here is a closer look at the prayer hall, housed in the white domed structure. A small shrine is near the steps leading to the hall. The pagoda is huge and this photograph was taken while walking around the great white dome. 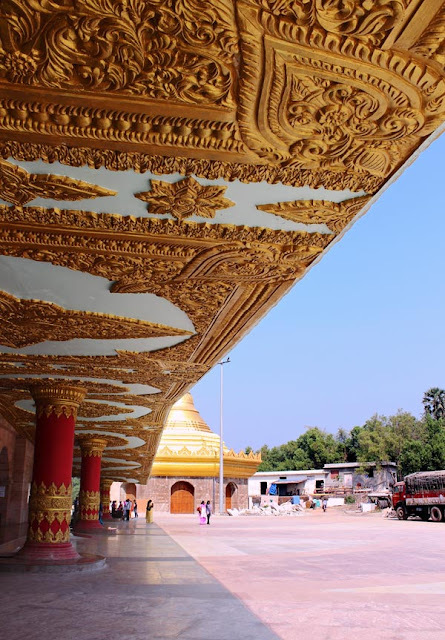 As you can see here there are gold coloured carvings all over the pagoda. There are huge wooden carved doors leading the mediation halls (not in the picture). 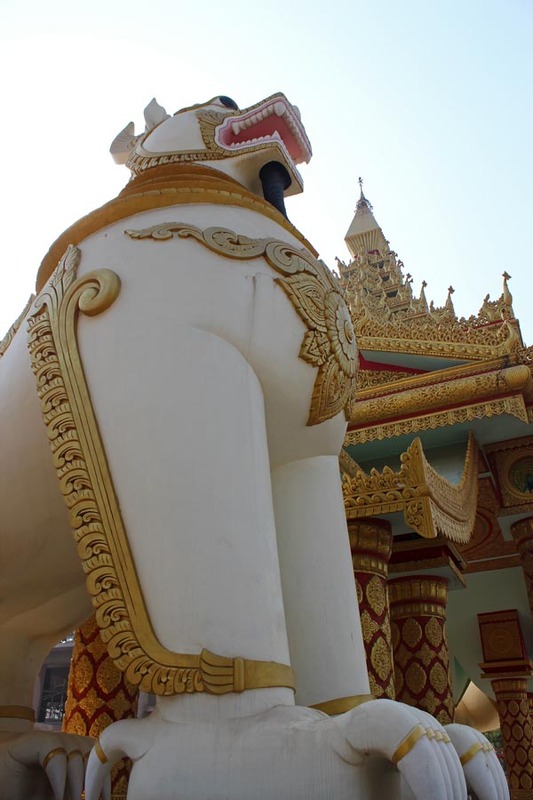 One of the statues of animals at the Buddhist Pagoda. 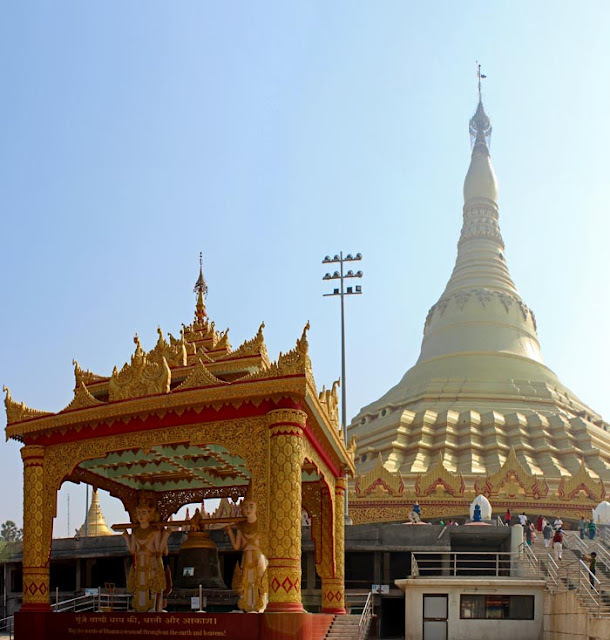 A small golden dome like structure at the side of the main dome with a Buddha statue in a meditation pose. 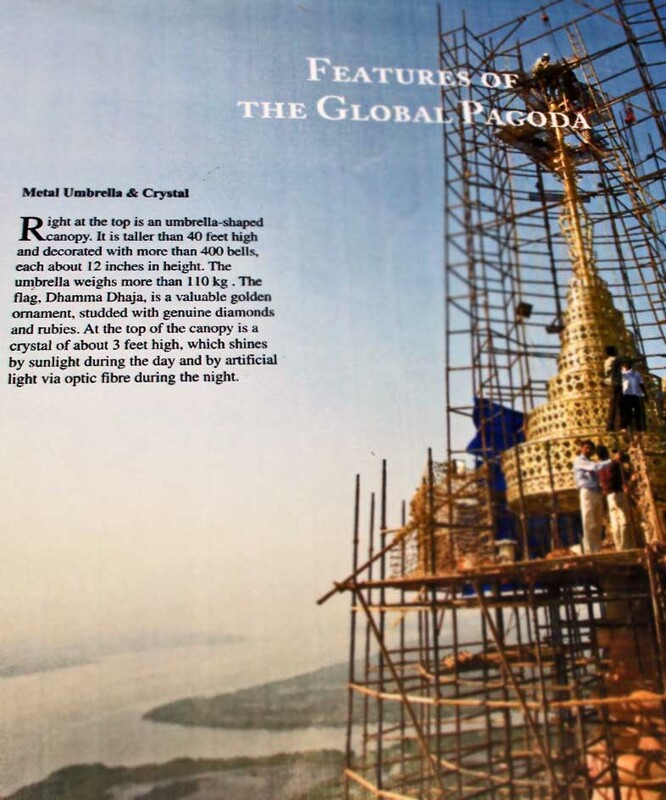 This poster sums up what is being planned for the under construction global pagoda. "Right at the top is an umbrella shaped canopy. It is taller than 40 feet high and decorated with more than 400 bells, each about 12 inches in height. The umbrella weighs more than 110 kg. The flag, Dhamma Dhaja, is a valuable golden ornament, studded with genuine diamonds and rubies. At the top of the canopy is a crystal of about 3 feet high, which signs by sunlight during the day and by artificial light via optic fibre during the night." 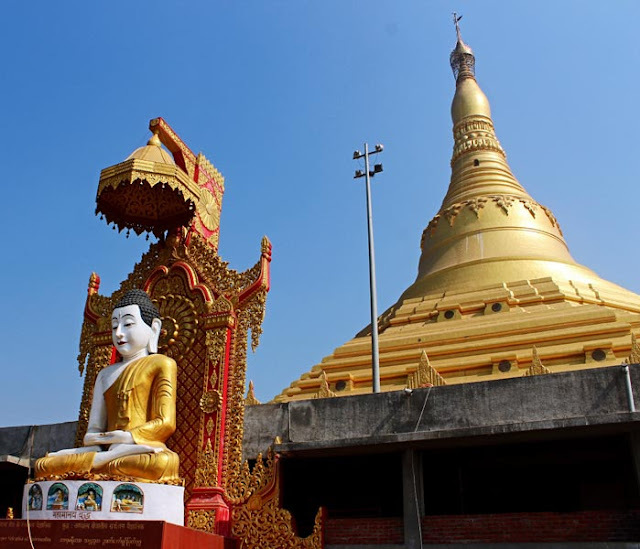 You might also like to see all the images related to Buddhism where you will find statues and paintings of Buddha from different parts of the world.